According to author and scholar Katarzyna Cwiertka, the notion of “national” cuisine is an idea born no earlier than the 19th century. Prior to that social class and regional availability of foodstuffs mostly defined the culinary conventions. 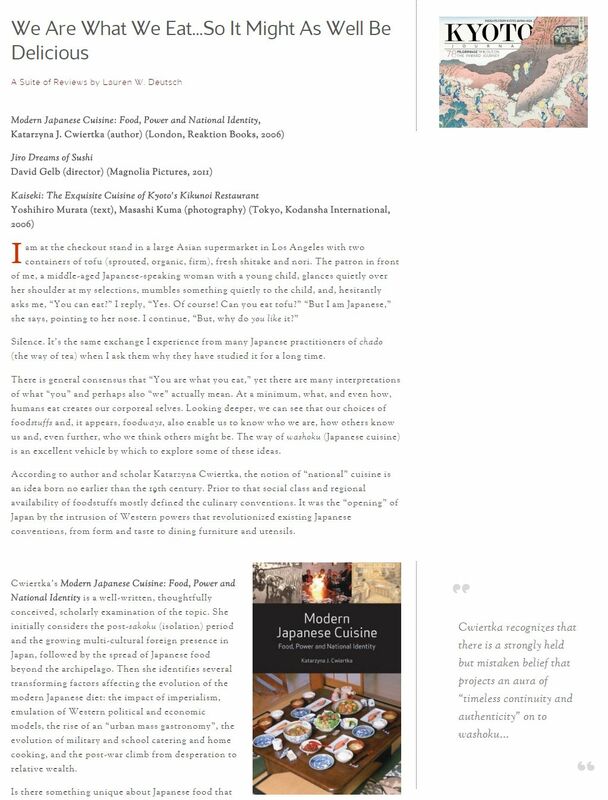 It was the “opening” of Japan by the intrusion of Western powers that revolutionized existing Japanese conventions, from form and taste to dining furniture and utensils.